When hosting dinner parties lately I have been serving a vegan and vegetarian version of the dish I am putting together which seems to satisfy my non-vegetarian guests along with my strict vegan friends and family. Made these stuffed pasta shells two ways here is my vegetarian interpretation of stuffed pasta shells (vegan version to come next). Cut the top off of your garlic clove and place on a baking dish. Drizzle with extra virgin olive oil and bake at 425º for 30 minutes then set aside. Once cooled squeeze out the roasted garlic and set aside. 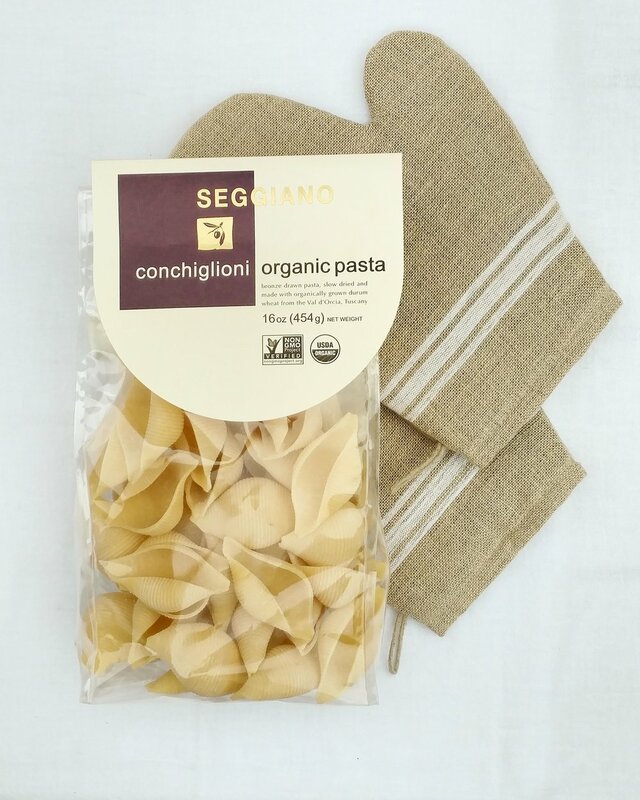 To assemble the pasta shells have all your ingredients ready to stuff into the shells. 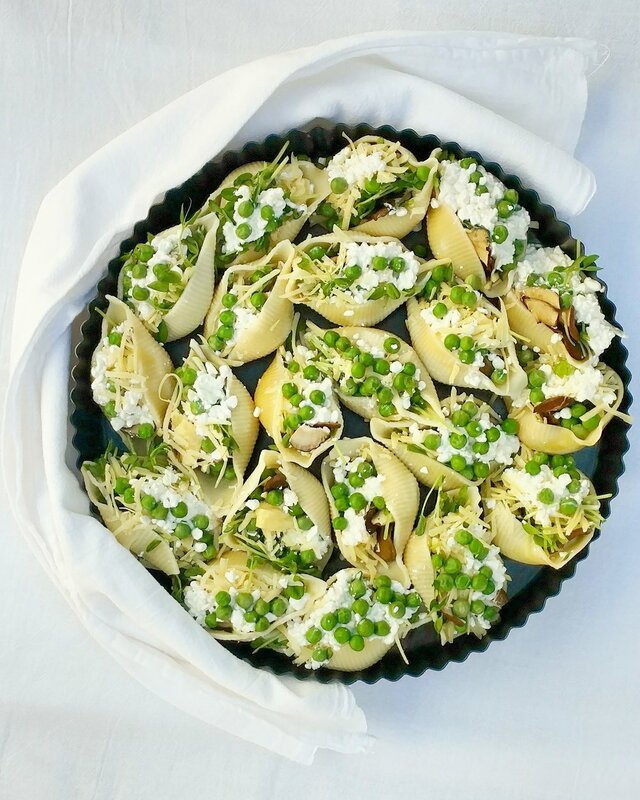 To put together the shells add a clove of roasted garlic, maitake mushroom, pea sprouts, fresh thyme, parmesan cheese and cottage cheese inside the shells and place on a baking dish. 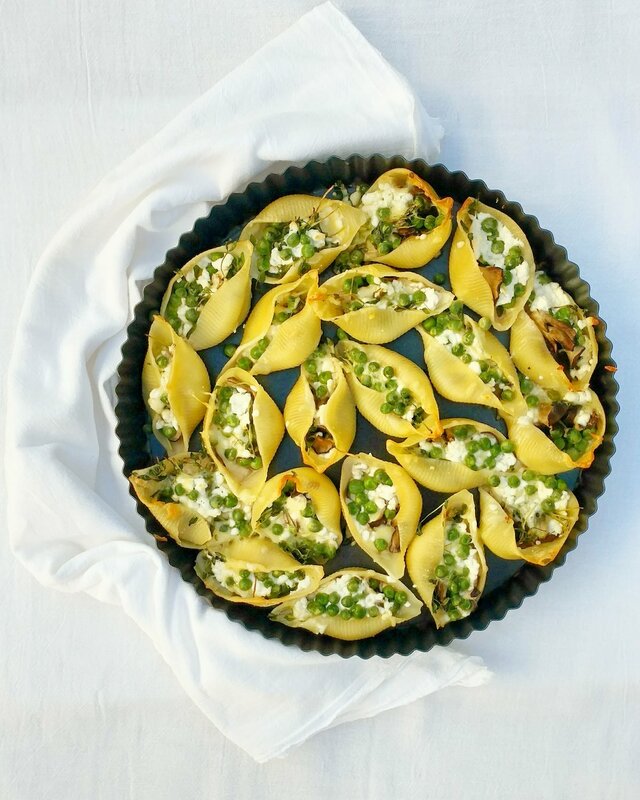 Once you have filled all your shells bake at 425º for 30 to 40 minutes or until the shells edges begin to turn brown.